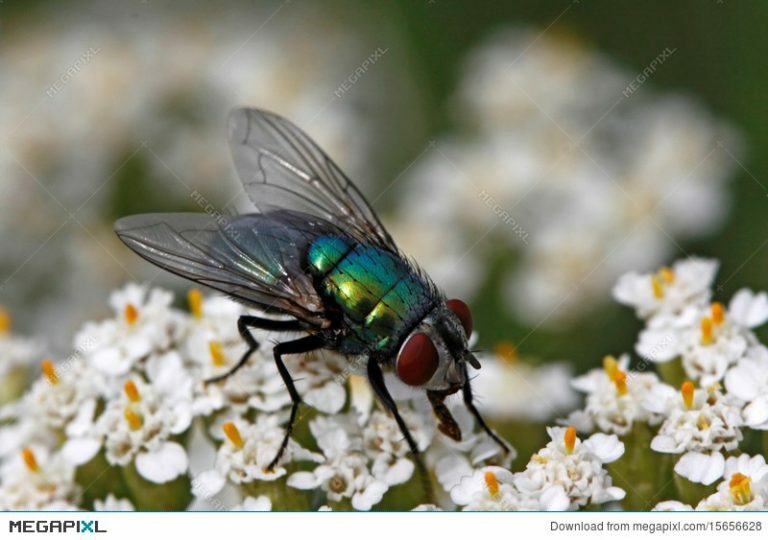 Blow-flies are dipteran flies that evolved 105 million years ago and there are now over 1,000 species occurring in 150 genera in a range of countries worldwide (Figure 1) (McDonagh, 2009). Within the family Calliphoridae there are 80 species which are known to cause myiasis, which is the infestation of live human and vertebrate animals, where the fly larvae feed on the host’s dead or living tissue, liquid body substances, or ingested food (Zumpt, 1967). There are three main types of blow-fly that cause myiasis. The first are known as saprophages and simply infect animal carcasses that are already dead and decaying. These species do not initiate myiasis but rather take advantage of animals that are already decaying. The second group of blow-flies are generally ectoparasites (i.e. parasites that attach to the skin or fur of an animal) that occasionally initiate myiasis by feeding on damaged tissue of their host. These flies sometimes feed on dead decaying matter, like the saprophages. The last group of blow-flies are known as obligate parasites, only feeding on the living tissue of their host and initiating myiasis as a result (Stevens & Wall, 1997). It has been proposed that the obligate myiasis-causing blow-fly parasites have evolved from an ancestral saprophageous stage, with flies occasionally being attracted to dead or decaying tissue or wounded animals. This later involved into flies which relied more on living tissue until obligate parasites evolved (Zumpt, 1967; McDonagh, 2009). Figure 1. Blow-flies belonging to the genus Lucilia range from feeding on flower nectar to liquefied dead vertebrate tissues. The blow-fly genus Lucilia comprises approximately 27 species, all of which are similar in appearance. The larvae of the majority of these species are saprophageous, feeding on dead matter. However, there are several species which are occasionally ectoparasites on large mammal species and which may cause myiasis, particularly in sheep (Stevens & Wall, 1997). One species, Lucilia silvarum, sometimes feeds on dead amphibian species, but the toad fly, Lucilia bufonivora, is a highly specialised blow-fly and is an obligate parasite of live prey. 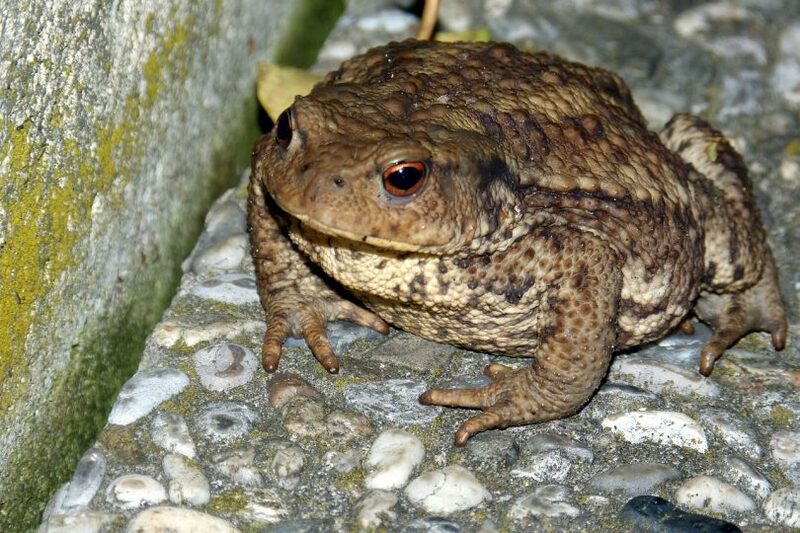 Adult L. bufonivora make their first emergence in May to July and seek out living common toads (Bufo bufo) and their lays eggs on the back and flanks of an amphibian host. The larvae then hatch and migrate to the head and nasal cavities of the toad where they continue to feed on the live host (Figure 2). Infected toads tend to change their behaviour and instead of hiding away in sheltered areas, move out into exposed locations where they are susceptible to further infestation by blow-flies. 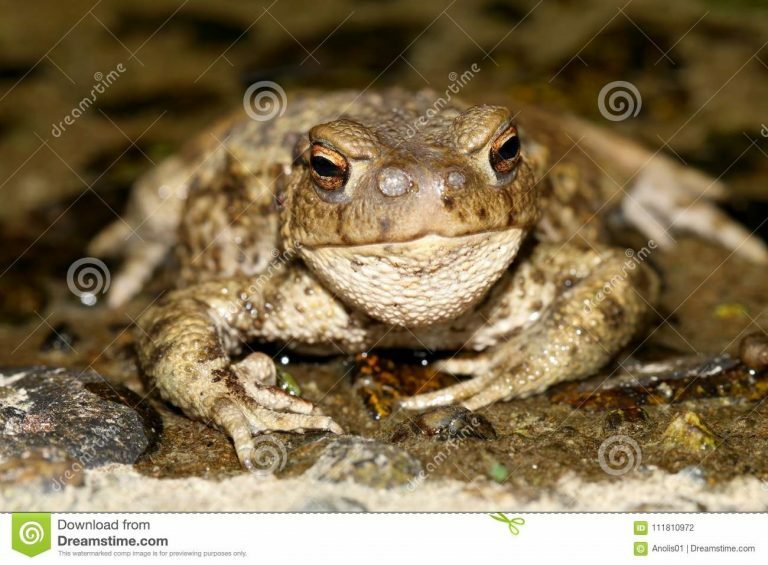 The nasal cavities and head are gradually consumed until eventually the infected toad dies. Once the toad has died, the larvae continue to feed on the flesh of the toad before dropping off to pupate in the soil. Here they undergo metamorphosis and hatch into new adult flies a few weeks later. Toad flies are capable of having three generations each year, depending on the weather and availability of toads. Figure 2. A common toad (Bufo bufo) infected with blow-fly larvae from Lucilia bufonivora. The larvae have migrated to the nostrils where they will continue to consume the living flesh. Toad-flies have a wide distribution across Europe, North Africa and Asia and are particularly common in the Netherlands where between 15 and 70% of common toads may be affected each year, with adults being most commonly affected (Weddeling & Kordges, 2008). Despite this high level of infection, there is no evidence of toad flies causing decline in the common toad. In the UK, toad flies are relatively uncommon and the number of reports each year is low. L. bufonivora and another blow-fly species L. silvarum are highly similar in appearance. In Europe, L. silvarum tends to only feed on carrion with a preference for dead toads. However, in North America, the species has been recorded as infecting living toads with larvae found in the neck, legs and parotid glands (Eaton et al., 2008). Research by the University of Bristol and Exeter, in collaboration with RAVON, has looked at how closely related L. bufonivora and L. silvarum are to each other. The two species are so similar in appearance it is possible that the eggs found on toads in Europe are from one or both species. Using genetic analysis, the researchers found that the two are sister species, being genetically distinct, but are very closely related and have only recently diverged as separate species. In addition, the researchers found that L. silvarum blow-flies in North America are more closely related to toad flies L. bufonivora, than they are to their own L. silvarum species in Europe. This suggests that obligate parasitism in Lucilia blow-flies may have evolved independently several times and originally diverged from L. silvarum (Arias-Robledo et al., 2008). The obligate parasite traits of L. bufonivora may have evolved as the two species diverged. The findings from this research also show that in Europe and the UK common toads are only infected by L. bufonivora and L. silvarum has yet to become an obligate parasite in these countries (Arias-Robledo et al., 2008). Further research is required to determine the evolutionary status of other closely related blow-fly species such as L. elongata, which is relatively poorly understood. Arias-Robledo, G., Stark, T., Wall, R.L. & Steven, J. R. (2018) The toad fly Lucilia bufonivora: its evolutionary status and molecular identification. Medical and Veterinary Entomology, doi: 10.1111/mve.12328. Eaton, B. R., Moenting, A. R., Paszkowski, C. A. & Shpeley, D. (2008) Myiasis by Lucilia silvarum (Calliphoridae) in Amphibian Species in Boreal Alberta, Canada. Journal of Parasitology, 94 (4): 949 – 952. McDonagh, L. M. (2009) Assessing patterns of genetic and antigenic diversity in Calliphoridae (blowflies). PhD thesis, University of Exeter. Stevens, J. & Wall, R. (1997) The evolution of ectoparasitism in the genus Lucilia (Diptera: Calliphoridae). International Journal of Parasitology, 27 (1): 51-59. Nordrhein-Westfalen – Verbreitung, Wirtsarten, Ökologie und Phänologie. Zeitschrift für Feldherpetologie, 15: 183–202. Zumpt F. & Ledger J. (1967) A malign case of mylasts caused by Hemipyrellia fernandica (Macquart) (Diptera Calliphoridae) in a cape hedgehog (Erinaceus frontalis A. Smith). Acta Zoologica et Pathologica Antverpiensia, 43: 85-91. First posted on www.froglife.org on 29 August 2018. About the Author: Froglife is a national wildlife conservation charity, concerned with the conservation of the UK’s amphibian and reptile species and their associated habitats.